More than 700 high school boys and girls lacrosse players from across the country will represent their regions in the for 2013 Tournament. 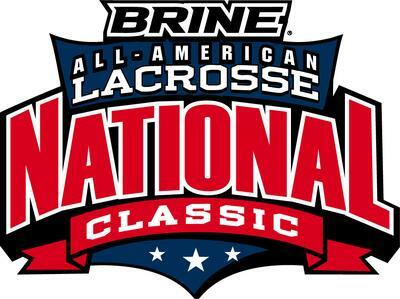 Baltimore, MD, May 17, 2013 -- Level 2 Sports and Brine announce that the Maryland SoccerPlex will host the Brine National Lacrosse Classic, July 1 - July 3. Entering its sixth year, the tournament features more than 700 elite high school boys and girls from throughout the country representing their respective regions competing for a national championship. The Brine National Lacrosse Classic offers these select players the opportunity to showcase their lacrosse skills against the best competition in the nation while emphasizing teamwork, discipline, and sportsmanship in front of NCAA collegiate lacrosse coaches from every division. Players competing at the Brine National Lacrosse Classic have been selected at a regional tryout and have demonstrated the highest level of potential as determined by a panel of evaluators from the region. Regional tryout sites include California, Colorado, Illinois, Maryland, Washington, DC, Virginia, Texas, Florida, North Carolina, Georgia, Ohio, Tennessee, Michigan, Kentucky, New England, New York, Pennsylvania and New Jersey. "It's always exciting to see the most elite high school lacrosse players compete for their respective regions, rather than a school or a club team," said Joel Franklin, Brine National Lacrosse Classic executive director. "The players have so much pride in representing their state or region. And the Maryland SoccerPlex has been a great partner and host site for the national championship. We look forward to working with them again in 2014." High school lacrosse coaches are appointed to coach the high school regional teams at the tournament. Many of the coaches have earned "Coach of the Year" honors in their regions. Additionally, the event provides the nation's top collegiate coaches with the premier stage to identify and scout the top players in the country. In 2012, more than 85 coaches attended the Brine National Lacrosse Classic from many top programs in the nation. The Brine National Lacrosse Classic is also the qualifying tournament to determine which region will represent the United States in the Brogden Cup competition against Canada. The Brogden Cup features the best U-19 players in North America. Headquartered in Warren, Michigan, Brine was established in 1922. Brine has spent almost a century supporting players in their athletic pursuit of game improvement products and programs. Recognized for innovation of the Offset™ lacrosse stick and the original round bladder soccer ball, Brine was acquired by New Balance Athletic Shoe, Inc. in August, 2006. Brine is a recognized industry leader in lacrosse, soccer, and field hockey. For more information about Brine, please visit www.brine.com. Lacrosse is one of the fastest growing team sports in the US and the Brine National Lacrosse Classic provides players with a socially and athletically rewarding experience to better prepare them to meet the challenges of high school and college academics and athletics. The Brine National Lacrosse Classic featuring the top players and coaches selected to represent their region in a showcase event offering extreme competition and exposure to the next level of the sport. Geared to help players better prepare and transition from one level to the next, the Brine National Lacrosse Classic has two distinct divisions for high school and middle school boys and girls.